209 what? Last at UFC 209 there was no Nick Diaz, there was no Nate Diaz, hell there wasn’t even a Russian off-brand Diaz brother on the card to entertain us. Save for some crazy comebacks on the free undercard and Alistair Overeem knee-ing Mark Hunt back to Japan circa 2008, UFC 209 largely fell flat on the Stockton streets. Out of roughly $60.00 USD of buyer’s remorse comes a boatload of MMA rumors to numb the pain. 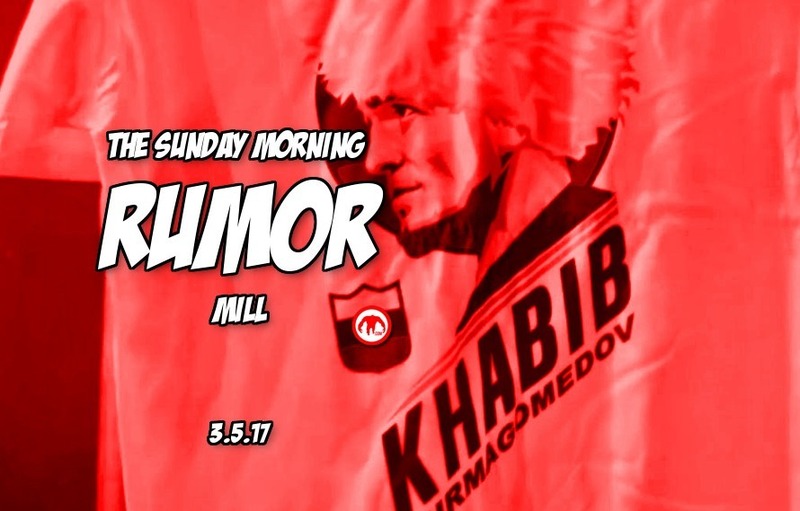 Wake up on your couch, count the coins in your couch then watch some bootleg Diaz brothers fights before you read your post-UFC209 Sunday Morning Rumor Mill. The highly anticipated UFC Fight Pass reboot is closer than you think. Along with the already rumored regional UFC belts being tossed about new owners are seriously considering UFC gimmick matches to spike Fight Pass subs. Loser leaves towns? Win and you’re in? Throwback fights? Have all been put on the table.